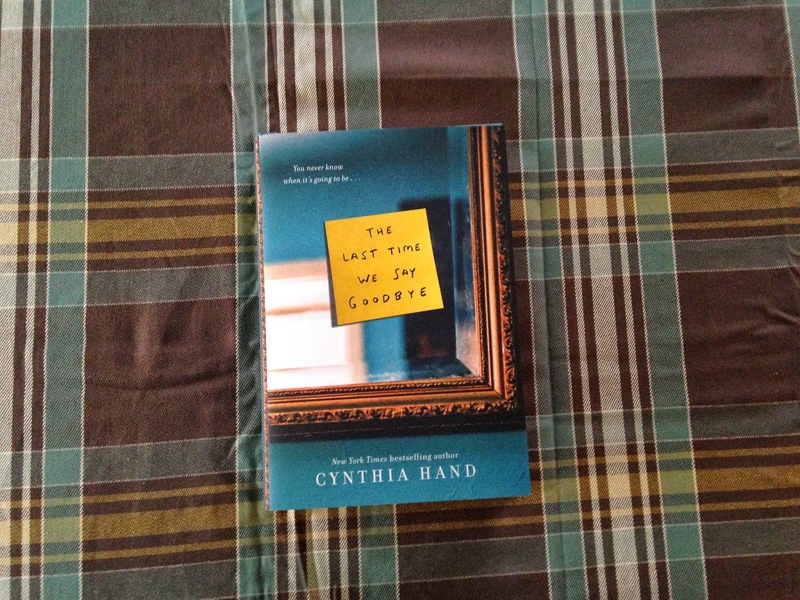 I can't wait to read The Last Time We Say Goodbye. The Unearthly trilogy was absolutely fantastic and swoonworthy, and you are one of my autobuy authors! I cannot wait for your book to be released!! I would just love it in my hands right now. It would be nice if you came to Philadelphia, PA so that you can sign the book. Would love it if you would come to NYC! Please come to The Souhern Bookshop in Southern Pines, NC! Loved the Uneartly series. I was totally Team Christian. My favorite bookstores near me are Anderson's in Naperville (I see you're already going there!) and Boswell's in Milwaukee. I am coming to NYC. I'll be at Books of Wonder on March 10. I had the chance to read and advance copy, but a signed/physical copy would be amazing! Thanks for the opportunity! I would love it if you came to a San Diego Barnes and Noble, or to a Mysterious Galaxy bookstore. We don't get a lot of people in Southern California unless it's LA. It would be so amazing if you were able to come down here! P.S. I am looking forward to this book because you wrote it! I wish you could come to the Barnes and Noble at the Avenue in White Marsh. I loved your Unearthly books and can not wait to read this book!!! Pleeeeease come to Hawaii!! The Barnes and Noble in Honolulu would love to have you! Any B&N in Jacksonville, Florida. However, I am making the trip to Orlando for the tour. I'm SO excited!! It will be my first book event/signing! Thank you for participating! We sure would love to have you down here in San Antonio, TX!!! Loved Unearthy and I can't wait to see your next creation! Come to Des Moines, Iowa to Beaverdale Bookstore. Authors never come to Iowa and your one of my favorites. Cannot wait to read this book! Would love to meet you as well. I would like to see you, Cynthia Hand, somewhere close to where I live in California. It would be awesome if you could come to the exact same city, but that never happens with any authors so somewhere in LA would be nice! n_n And I'm looking forward to TLTWSG because it seems like a story that will stay with me forever. I hope I don't have to use too many tissues! :D Thank You! It would be super cool if you had a signing in Seattle! And I'm looking forward to THE LAST TIME WE SAY GOODBYE because I read the first bit during YASH and loved the voice, so I can't wait to read the whole book! Thanks for the giveaway! Because The Last Time We Say Goodbye sounds like a load of AMAZINGLY WONDERFUL AWESOMENESS! I am super excited for TLTWSG because I absolutely loved Unearthy and your writing so this new story is definitely something I am looking forward to reading! Come to Missouri!!! Springfield or St. Louis... Maybe not St. Louis... Not sure about that. After I read the Unearthly series, I fell in love with both writing and reading! You've inspired me so much! I've been also waiting for your next book for a while now. I'm extremely excited to read something new by my favorite author. I want to see how you tackled writing such a deeply emotional topic. I would have a complete meltdown if you came to visit San Francisco. Your books are what got me into reading. No other book has been able to top your Unearthly series. I'm so excited to read your new book, I've been saving my Barnes & Noble since Christmas to buy it. Thank you so much for continuing to write amazing book, and congratulations on your new book!